I like to consider myself a safe driver. Despite spending untold hours on the highways traveling up and down the eastern seaboard I have remained mostly unscathed. There has been an occasional conversation that begins, “Sorry officer…”, but for the most part I like to believe I have taken my responsibility to be a safe driver seriously. 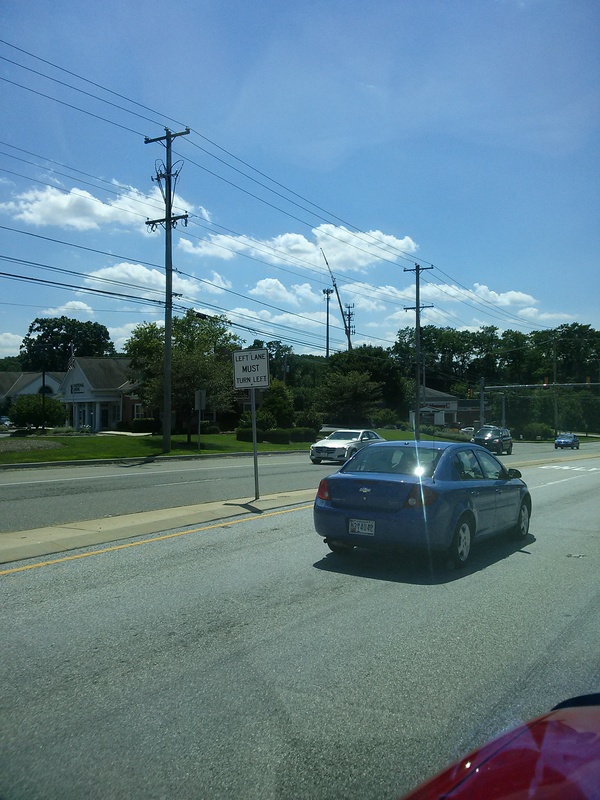 Yet the other day while on my way back into Kennett Square I got so excited by something outside my window I almost had a car accident. I looked off into the distance and there was a crane…a huge crane lifting parts up to a cell tower! I did a double take. Took my eyes off the road. Had to wipe the tears of joy from my eyes. It was then that I realized I had started to “drift a little” into another lane. Thankfully I was not alone in my joy and distraction as all the other motorists were drawn to the crane like a moth to a flame. 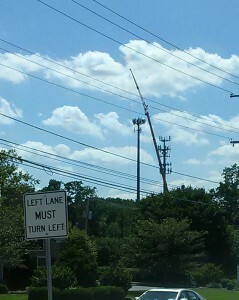 It must have been a beautiful thing to behold…synchronized swerving towards the crane doing work on the cell tower. We all quickly corrected course and quietly stole glances at what we hoped would be the answer to ongoing, never ending issues with a certain cell phone company. I don’t think it is necessary to name the company…I am hopeful that this tower work means better times are on the HORIZON. If you know for a fact that this tower work has nothing to do with my carrier and that I am doomed to continue to struggle I ask you to do me a favor…please let me live in hopeful ignorance and bliss.